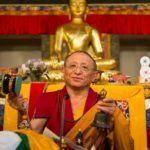 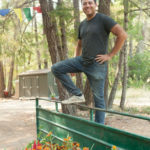 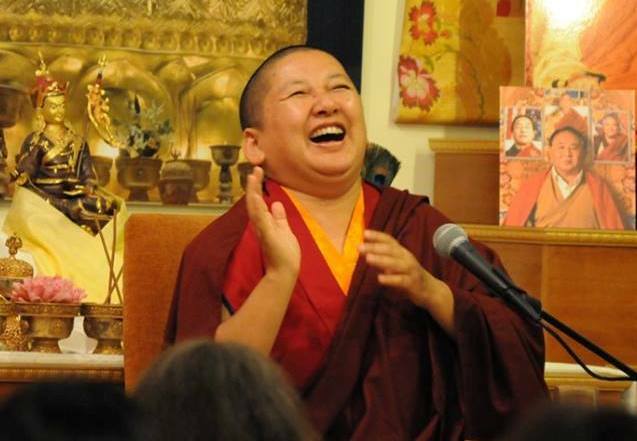 This August, Khandro Rinpoche will once again return to Rangjung Yeshe Gomde California to kindly teach on the Three Words that Strike the Vital Point, a precious instruction from the first master of the Dzogchen lineage, Garab Dorje. 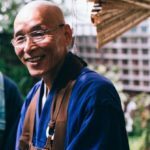 These essential teachings guide the student towards recognition of the mind’s true nature, and reveal the crucial stages of training in sustaining this recognition through meditation practice. 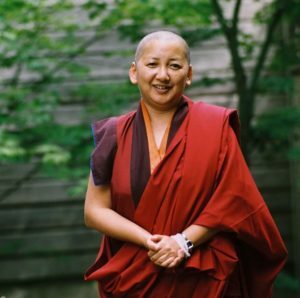 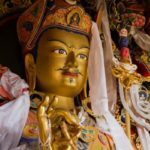 In her vivid and engaging style, Khandro Rinpoche will directly present these teachings, some of the most beloved in the entire Dzogchen tradition, helping us to bring their profound meaning into our own personal experience. 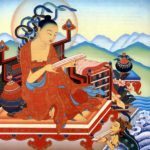 This is a text that we can study again and again. 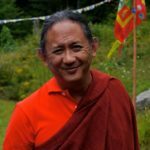 Every time we receive such profound instruction our practice opens, our relationship to the lineage of realization deepens, and our own experience of the natural state is further clarified. 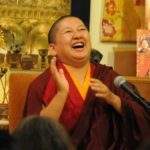 We are deeply grateful to offer a venue for Khandro Rinpoche’s teachings, and look forward to sharing this time with all of you.